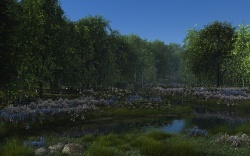 Description: Bryce 7 Pro. Render Premium 16 rpp. Time 10 hours. Lighting: sun, Sphere Dome Light, Radial Light. 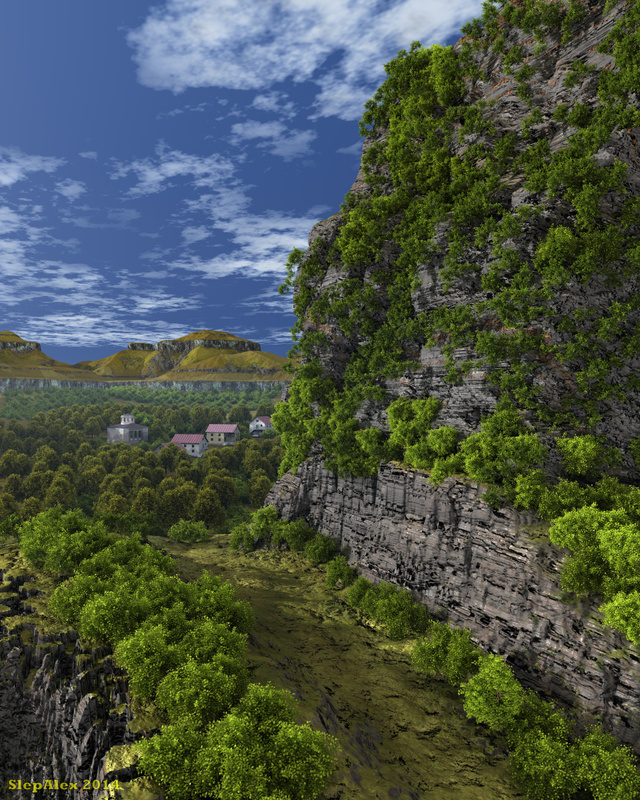 Another awesome landscape with rich vegetation. The terrain looks great and the path leading to the settlement is a great addition. Thank Horo. The rock on the right is the terrain, rotated 90 degrees along the axis X. But first I put on it a group of trees in the Instancing Lab, and then rotates the axis X. That is one of my favorites scene you have created recently. I love the rock with its bushes. Very nice render and acutally very realistic. 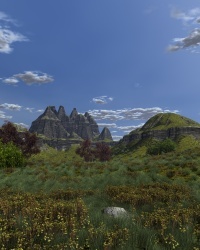 I reminds me of similar mountains I have seen in real life. And an extra point for your mastership to copy with so many trees. Kudos!